Available now on the App Store, the Spatial Orchestra app brings music to life comes with augmented reality and spatial audio. Built by developer TCW in partnership with the Cinema-Sonic orchestra, the app displays instruments in the user's physical environment and plays its siren songs relative to the user's position and orientation within the space. In addition to the AR view, users can opt for two VR views, a bird's eye view of the virtual orchestra and an on-stage experience. 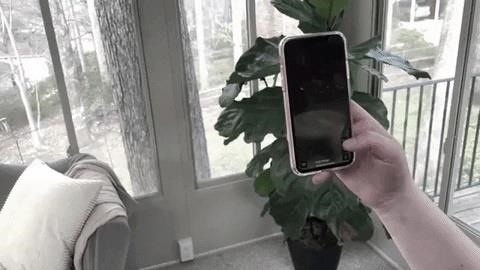 While the AR experience is only available on ARKit-compatible iPhones and iPads (with a minimum OS recommendation of iOS 12 for optimal performance), a desktop version of the app for Mac and PC allows users to experience the virtual orchestra and spatial audio via keyboard and mouse. In the past year, the demand for audio AR experiences has gradually increased, with critically-acclaimed apps like Tónandi for the Magic Leap One and David Bowie Is for smartphones among those demonstrating the appeal of spatial audio AR apps. Along with audio AR apps, spatial audio products from Bose, Sennheiser, and Huawei are also beginning to capitalize on this technology to provide music fans with increasingly immersive ways to experience music.